Etizolam is a thienodiazepine which is chemically related to benzodiazepine (BDZ) drug class; it differs from BDZs in having a benzene ring replaced with a thiophene ring. It is an agonist at GABA-A receptors and possesses amnesic, anxiolytic, anticonvulsant, hypnotic, sedative and skeletal muscle relaxant properties. Initially introduced in 1983 in Japan as treatment for neurological conditions such as anxiety and sleep disorders, etizolam is marketed in Japan, Italy and India. It is not approved for use by FDA in the US; however it remains unscheduled in several states and is legal for research purposes. Indicated for the treatment of generalized anxiety disorder with depression, panic disorder and insomnia. Major adverse effects include drowsiness, sedation, muscle weakness and incoordination, fainting, headache, confusion, depression, slurred speech, visual disturbances and changes in libido and tremor [L883]. Flumazenil is a competitive antagonist of GABA-A receptors and can be also used to reverse the effect of etizolam overdosage. 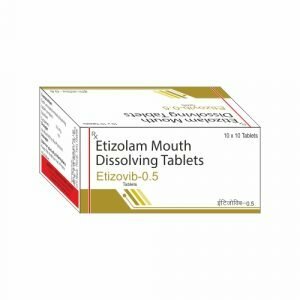 Etizolam demonstrates no effects on fertility, development and teratogenicity [L884]. 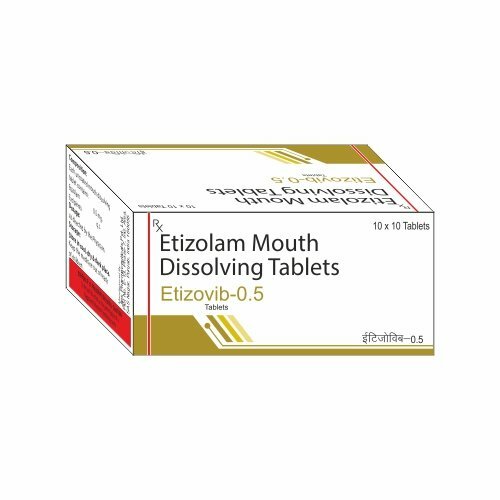 LD50 values of etizolam when delivered orally, intraperitoneally, and subcutaneously are 3509mg/kg, 825mg/kg, and >5000mg/kg in rats, respectively, and 3070mg/kg, 783mg/kg and 5000mg/kg in mice, respectively [MSDS].